Dealing with an injured left thumb, Park shot 8-over 79 on Friday to become the first defending champion of this tournament since 1977 to miss the cut. SAMMAMISH — Eighteen hours after receiving champagne toasts for qualifying for the LPGA Hall of Fame, Inbee Park was toast. 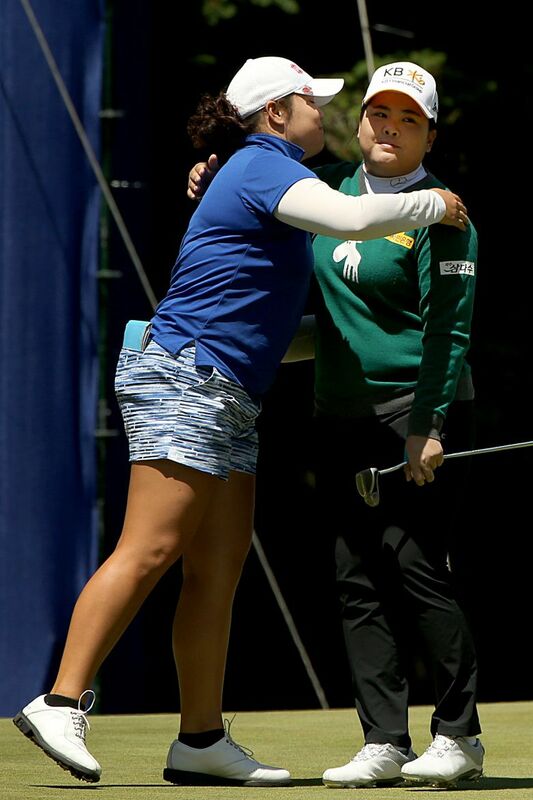 Dealing with an injured left thumb and a late bedtime after celebrating, Park shot an 8-over 79 on Friday to miss the cut at the KPMG Women’s PGA Championship at Sahalee Country Club. She became the first defending champion of this tournament since 1977 to miss the cut. Park, 27, had opened Thursday with a 1-over 72. When she completed that round, the seven-time winner of LPGA majors met the Hall of Fame requirement of playing at least 10 events in 10 years. 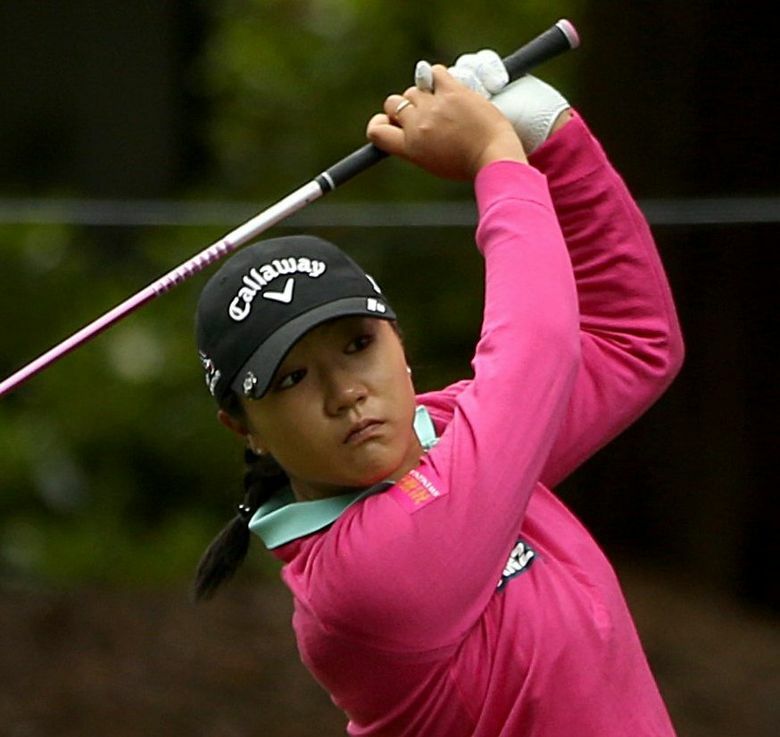 After Friday’s 79 and 9-over two-round total, Park sounded like she is headed for time off. The thumb injury has bedeviled Park for months, and she has taken breaks from competition. She was trying to become the first LPGA player to win the same major four years in a row. Park, the winner of 17 LPGA tournaments in her career, is winless this year and had shot 84 in her last competitive round in May before arriving at Sahalee. • Saturday’s third round is scheduled to end at 3 p.m. to accommodate NBC. This is a much earlier end to competition than Puget Sound golf fans are accustomed to from previous big events, such as last year’s U.S. Open, the U.S. Senior Open in 2010 and the annual Boeing Classic at TPC Snoqualmie Ridge. The players will be in threesomes with starts on holes No. 1 and No. 10. The leaders will tee off at 9:45 a.m. on the first hole. Sunday’s final round is scheduled to end at 5:30 p.m. for the same reason. • There are 1,400 volunteers helping at the tournament. • Playing partners Catriona Matthew, Sadena Parks and Minjee Lee each birdied their final hole of the day, the par-3 ninth. Matthew, the 46-year-old Scot who won the 2009 Women’s British Open, rolled in a 12-foot birdie putt for a 4-under 67. Hitting 17 greens was the key to her success. Parks, a graduate of Bethel High School who played at the University of Washington, shot 75 and made the cut on the number at 7 over. She shot 74 on Thursday. • Fans and media have to be specific when talking about any golfer in the tournament with the last name of Park, Lee or Kim, because there four golfers with each of these surnames. • One of the eight club pros in the field, Jennifer Bermingham of Long Beach, Calif., made the cut at 6-over 148. • Withdrawals during Friday’s round: Paula Reto (back), Jane Park (back), Guilia Sergas (no reason given), Brianna Mao (personal reasons) and Lee-Anne Pace (wrist).